If you are not crazy excited for Captain America Civil War after seeing this trailer, ARE YOU EVEN HUMAN? (Actually, Inhumans would also be excited by this, so there’s no excuse.) This is the biggest movie in the Marvel Cinematic Universe (MCU) to date. Two major superheroes, Iron Man and Captain America, are going head to head for the first time. While the film won’t feature all the Avengers (Thor and the Hulk will be excluded), it will feature a handful of new Avengers who are set to fight in the Infinity War. Infinity War is the next Avengers movie, culminating Phase 3 of the MCU. Parts 1 and 2 are set to release in 2018 and 2019 and everyone is in it. Captain America Civil War begins Phase 3 and therefore, it begins the build up. Every Marvel movie from this point until May 3, 2019 will lead up to Infinity War. Black Panther, Spiderman, and Baron Zemo. Three new characters who could be crucial to Civil War and the overall MCU. The Black Panther is the first black superhero to have his own movie within the MCU. While Black Panther’s movie won’t be released until 2018, his role in Civil War may be pivotal to which side wins this epic showdown. He is a very powerful character whose suit is made from Vibranium: a valuable metal that Ultron craved throughout Avengers: Age of Ultron. In addition, his retractable claws give him animal-like qualities, and he possesses incredible ninja skills. At this point, it is unknown what side Black Panther ultimately chooses. 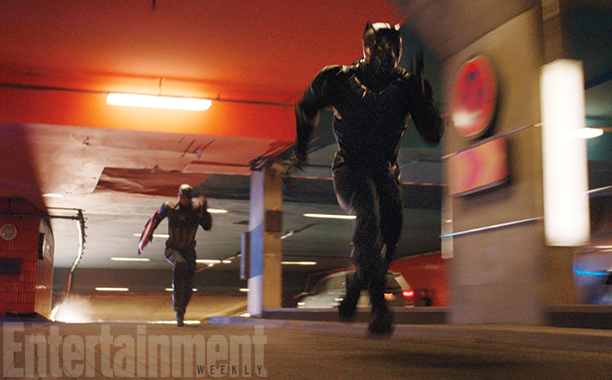 Based on the trailer, he is seen running away from Captain America (or Cap running after him, depending how you look at it). 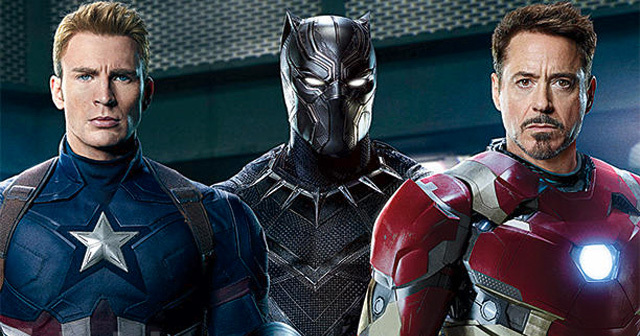 Does this mean Black Panther has sided with Tony Stark? While we can’t say for sure, everyone should keep an eye out for this badass ninja-panther. Another character that the trailer oddly leaves out is Baron Zemo. Baron Zemo is the actual villain in Civil War. Because he wasn’t in the trailer, maybe Baron Zemo won’t be the big, bad, central villain we thought he’d be. Civil War is about Bucky. Don’t forget that. After Captain America: Winter Soldier, Steve Rogers just wants his best friend back. This is the best friend who, after “dying” in 1945, tries to kill Captain America because he was turned into a murder machine by SHIELD’s enemy: Hydra. The first few seconds of the trailer confirm that Bucky does get his memory and normal self back. Of course, we must wonder: to what lengths did Steve Rogers go to regain Bucky? And will there be consequences? 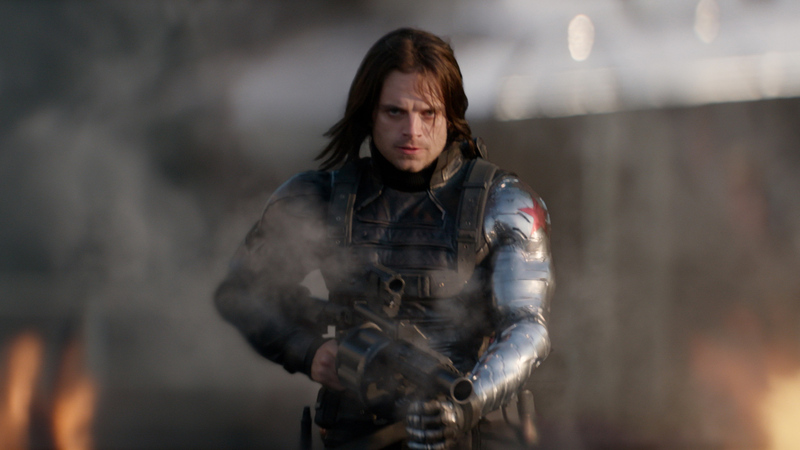 The trailer also confirms that Bucky is being hunted down and Cap just wants to keep his friend safe. It is speculated that Civil War’s plot is kick-started when a UN assembly explodes and Bucky is the suspected culprit. Are you Team Steve or Team Tony? Captain America definitely stands for loyalty, even when the government, peers and seemingly everyone wants him to surrender. This is understandable, as he and Bucky were entirely loyal to each other throughout their adolescence. Iron Man, on the other hand, stands for logic and limitations. This may be a bit ironic, since even he couldn’t handle limitations when Ultron was created. At the same time, Tony Stark’s point is more than understandable: superheroes must accept some limitations. Without restrictions, superheroes could easily become the villains. So whose side are you on? Captain America’s or Iron Man’s? Tell us in the comments!